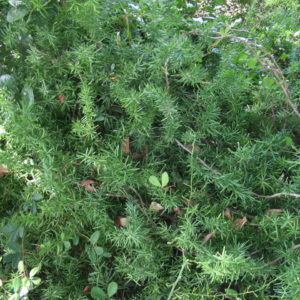 A spiny species with sprawling stems and fibrous and tuberous roots. Leaves are bright green, fern-like, with almost needle-like leaflets of up to eight in a cluster. 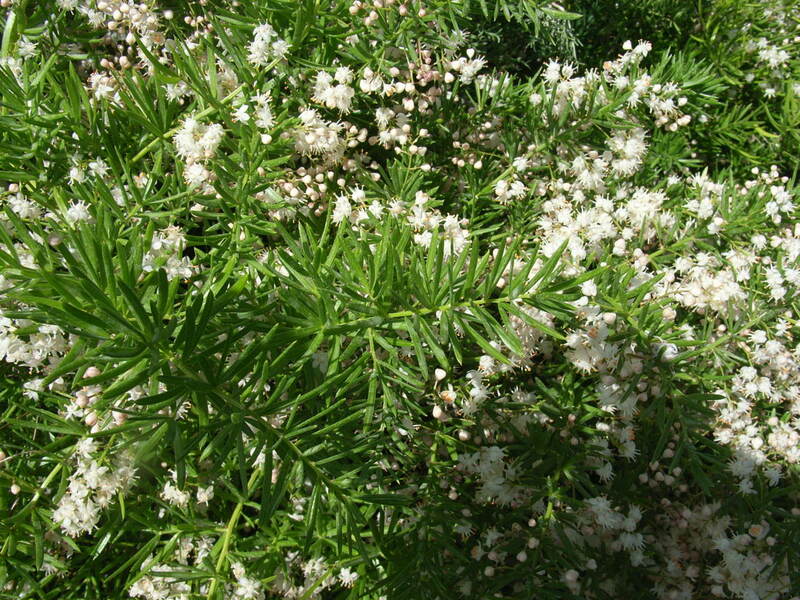 Flowers are white to pinkish and small. Fruit is a bright, round, shiny, red berry. This is the most prolific of the Asparagus family in the Reserve growing naturally Kingfisher Creek.